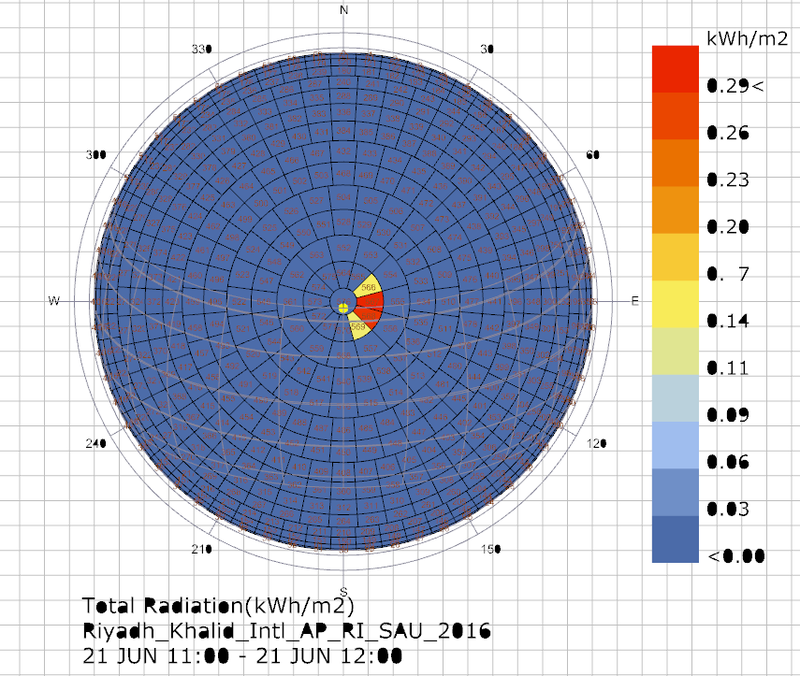 By using LadyBug_SunPath component we can get the azimuth and the altitude/elevation of the sun. 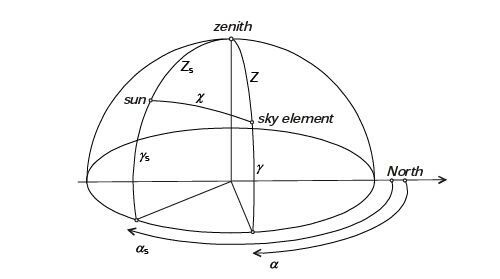 And by LadyBug_SkyDome component we can visualize the sky patches for certain hour, however, I could not find a way to get the exact value of the azimuth or the altitude of the sky patch for that hour so I can define the sky position by the above equation. Anyone have an idea to find either the azimuth or the altitude of the sky patch, either theoretically by calculations or by Ladybug tools, please? I guess that taking the skyPatchesCenPts output from the LB_SkyDome component you can get both altitude and azimuth from the center of the dome. Yes, I agree, this is a smart straightforward way to determine its position.